Standing Seam Panels have a concealed fastener system & sleek design setting it apart from other panel styles. They have a snap-lock design and offer 16" of coverage per panel width. These panels are only available in 26 gauge and come in several color choices. 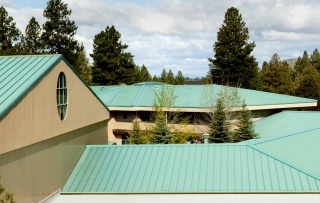 Standing Seam panels are an attractive choice for both residential and commercial roof applications.